When she was ready to cook, Isha called Hosh in, and said, "Today, I'll show you how to quickly prepare the base most commonly used in curries worldwide." "It’s called Chilli Paste, and it is simply a blended mixture of ground garlic, ginger and chili,” she began. “Different people use different proportions of these three basic ingredients to make it, but to keep things simple, we’ll just use equal proportions today." "In our recipe tonight, we’ll also use coriander leaves to titillate the taste buds of our Indian guests." "To appeal to the European taste buds, we could use Italian Parsley or Parsley leaves instead." "Freshly made pastes are healthier, cheaper and taste better than the Chili Paste sold in supermarkets. Packaged Paste also has preservatives added, so I prefer to make my own." "If you are pressed for time, you can make it in bulk, and store it in the fridge. You can also make ice-cubes of it by freezing it in your Ice-tray, but remember to keep these cubes safe and label them, just so somebody doesn't accidently put them in their drink." "You can use the Chili paste in any curries- non-vegetarian as well as vegetarian. Ginger and garlic are good for digestion and add flavor to the dish. Chili makes your tongue water, and adds heat to the dish. You can make a red paste with red chilies or green paste with green ones." "Generally, the red paste is hotter than the green but the hotness also depends on the types of chili used. We use red paste more for marinating as it adds a bit of natural color and warmth to the dish. If you want the curry to appear fresh and cool, use green paste instead." "Take the seeds out in both cases if you want the paste to be less hot, as the seeds give the paste their hotness. If the paste gets too hot for your taste, squeeze a bit of fresh lemon in the paste to take its hotness away." "Obviously, you don't want to test the paste’s taste by putting it directly into your mouth." "So you wouldn't know how hot the paste is until you have cooked with it. If the dish prepared with the paste is too hot for your liking, add a couple of spoons of yoghurt in the dish being prepared. I'll tell you the dishes where you shouldn't put yoghurt in while cooking later." "Other alternatives are to use less chili while preparing the paste, or even skipping the chilies altogether if your guests are allergic to chili. In the latter case, you can just make a ginger garlic paste. 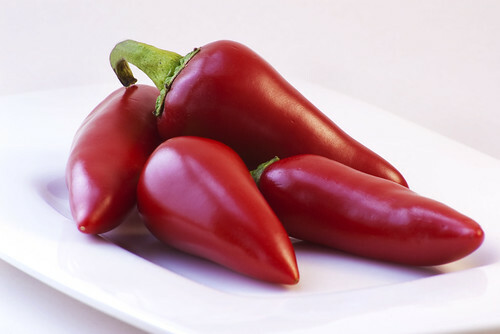 Remember though, that garlic and chili can cause heartburn or acid reflux." “Always use disposable gloves when chopping chilies. If you haven’t used gloves while chopping chilies, always wash your hands thoroughly in running water a couple of times with soap, just in case you accidentally touch your eyes or skin." "If you forgot to wash your hands before touching your eyes, the burning sensation will linger for a while and where touched, the skin or eye will turn red." Hosh was absorbing all her tips like a sponge, but Isha was finished with theory. It was time for action. She handed him the pre-made list to assemble the ingredients from the fridge, while she brought out the food-processor from the cupboard and plugged it in the electric socket. Hosh placed the chilies, garlic, ginger and coriander into the food processor and blended them into a fine paste. Then, when it became a consistent whole, he added salt and oil and mixed well. Isha placed the mixture into an airtight glass container, although she told Hosh that plastic containers would be fine too. “How long will it keep Ma, and how much ingredients do I need if I wasn’t making it in bulk?” asked Hosh. Isha told him that the fresh paste would keep in the fridge for up to two weeks. There were YouTube videos which showed how to get a much longer shelf life using alcohol, but she hadn't tried them yet personally. “If you wish to freeze the paste and make cubes,” she told him, “leave out the oil. How much you use or make is up to you, but meats generally flourish with a bit more chili paste than vegetables." All done in a few minutes, Hosh returned to doing his assignments, as they were due in the next day.